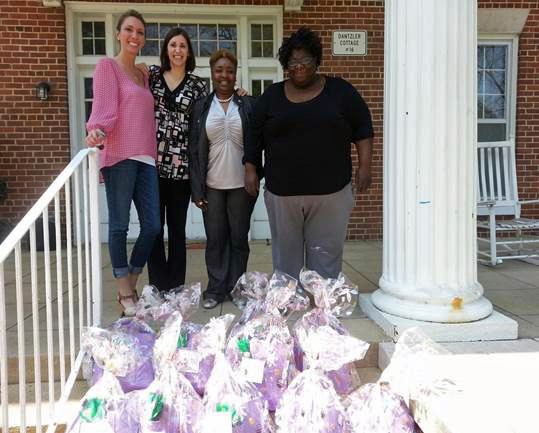 COLUMBIA, SOUTH CAROLINA – Callison Tighe & Robinson is serving as a sponsor this year for Dantzler Cottage at Epworth Children’s Home, working to make sure 10 12- to 13-year-old girls who live there are remembered at the holidays and active throughout the year. Epworth Children’s Home, a group residential facility in Columbia, has helped children ages 4 and up for more than 116 years. The residents come to Epworth after being removed from homes across South Carolina due to problems such as abuse or neglect. The Epworth success stories over the years have included one boy who came to the home with below-C grades but went on to earn college scholarships. The home also boasts a 100 percent high school graduation rate among residents for several consecutive years. 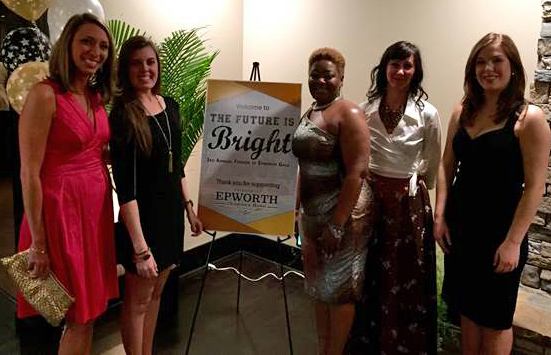 Callison Tighe’s involvement with Epworth Children’s Home dates back more than a year, when staff members volunteered to serve at the Cookout for Kids annual fundraiser. Callison Tighe paralegal Tamekia Hunter became a certified mentor and volunteer at Dantzler that same year, reaching out to her mentees on a regular basis. Many Callison Tighe attorneys and staff contributed to Hunter’s efforts to provide monthly treat bags and care packages for all the girls at Dantzler in 2014. At Christmas, Hunter and Callison Tighe co-worker Katie Minton spearheaded a campaign to make sure the girls at the cottage had gifts, care packages and a holiday party. Hunter’s and Minton’s involvement with Dantzler Cottage began in December 2013 when they were serving as board members of the Palmetto Paralegal Association. Their involvement, in turn, drew in many others at the firm. That led to this year’s cottage partnership. As a partner, the firm has committed to visiting the cottage at least three times this year. The firm also has helped supply Valentine Day and Easter goody bags, attended the annual Friends of Epworth Gala and is looking to sponsor a educational tour of the zoo in July. Callison Tighe staff member recently organized a firm-sponsored Spa Party at the cottage. The firm also plans to deliver school supplies in August and Halloween treat bags in October as well as organize the cottage’s annual Christmas party.